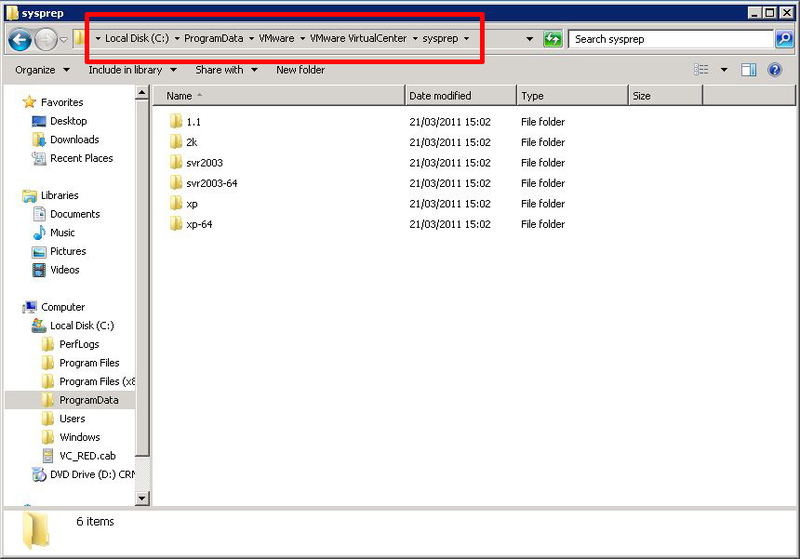 VMware VIM (vCenter) Where to put the sysprep files in Server 2008? Home » ESX » VMware VIM (vCenter) Where to put the sysprep files in Server 2008? But that location no longer exists (since Server 2008).